We have something special to share with you today. There is a new arrival in the baby gear world this spring, the newly hatched STOKKE Scoot Stroller. The luxurious Norwegian baby gear brand first rocked the world of strollers in 2003 with the STOKKE Xplory and this season they are rolling out the new Scoot and Crusi strollers. The latter is a single stroller that can be easily converted to a double, retailing at just under one and a half grand (see detailed Crusi video). The Scoot gives you a similar look and features for nearly half the price for $699.99. While there is no bassinet or second seat option as with the Crusi, it features a reversible seat that can face the parent or face out and the higher seat position that STOKKE is famous for. It's perfect from newborn to toddler, up to 50 pounds. A smooth and stylish ride for baby that will turn heads everywhere. Suitable for urban and suburban strolls and real life. Not to mention it makes travel with baby easier! Check out the latest STOKKE Scoot review and video to see the stroller in action here at Eco-Babyz. Purchase: You can pre-order the STOKKE Scoot online at Magic Beans. It will also be available through the STOKKE shop and BuyBuyBaby in the near future. Win It! STOKKE is generously giving away the STOKKE Scoot in Black Melange (as pictured on entry form) to one winner! Special thanks to AnaB Social for hosting this giveaway. 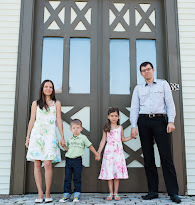 Huge thanks to STOKKE and all the fabulous participating bloggers as well! Giveaway ends March 21st at 11:59 pm, open to residents of U.S. and Canada, ages 18+. See detailed terms and conditions on entry form. To enter please use the Rafflecopter form below (see directions on how to enter here). Thank you! Disclaimer: AnaB Social and all participating event bloggers are not responsible for sponsor prize shipment. The tripp trapp chair looks amazing too! I'd love to try the Tripp Trapp high chair! I'd love to try the Stokke Scoot, of course! I would like the Stokke Care changing table. This stroller is a definitely on the "desire" list. And the Tripp Trapp high chair has been on the "really really desire" list for awhile. I can't afford either, so the giveaway is a nice little bit of hope for me! I really like the Stokke® Care changing table! Neat company! I thought the Tripp Trapp chair was a great concept. I love things that can be used for a long time. I would love to try the Stokke® Sleepi™ Bed. i love the care. the height adjusting is an awesome idea. esp being as i am tall! The Scoot stroller has my interest! Especially the black melange- I like the look of it and it looks light and easy to fold, plus the 4 different positions are great. I would love to try the Stokke Tripp Trapp with the baby set! I want the Tripp Trapp. I would love the stokke handysitt! I would like to try the 3 in 1 multi-use baby carrier! Stokke care changing table looks awesome for easy organization! I would like to try the Stokke Sleepi Junior Bed (3 years to approx.10 years). I would like to try the Tripp Trapp highchair. I love the Stokke® Crusi stroller. It is the nicest stroller I have seen in my lifetime. Strollers have come so far since I had my kids. This would be perfect for my new granddaughter. Thanks for the awesome giveaway. Would love the Trip Trapp chair! The beds all the way up to 10 yrs old are so cool looking and would love to have one. I'd love to try a tripp trapp. I would love to try the Stokke Tripp Trapp for my baby! The Stokke Sleepi Mini Crib would be great to try! I would love the Stokke® Scoot stroller. LOVE it!! 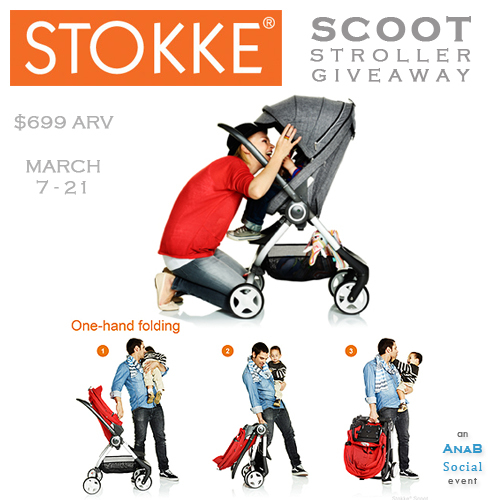 I've been waiting for the STOKKE Scoot stroller to come out and now i have a chance at winning one - awesome!! I have always eyed the Tripp Trapp high chair. Looks so stylish. This is the stroller I have been eyeing, love everything about it! I also do love the Tripp Trapp chair :) Thank you for the giveaway! I would LOVE this stroller! I want to try the Tripp Trapp! The Scoot Stroller looks cute. I would love the Stokke Care changing table that converts into a desk/shelf/tv stand. I love multipurpose furniture! Tripp Trapp or the dresser. Thanks. Tripp Trapp or the dresser! I really like the Tripp trapp highchair. I also like the trip trapp high chair! Obviously, would love to try the Scoot, but the Tripp Trapp looks cool, too!